Ontario Residents will see their Federal taxes increase to pay for Ontario’s electricity rate scandal. Federal legislation (Bill C-15) includes the Ontario Electricity Support Program as a budget measure. It is important to point out to Canadian taxpayers that Part 1 of Bill C-15 implements certain income tax measures proposed in the March 22, 2016, liberal budget by exempting from taxable income amounts received as rate assistance under the Ontario electricity support program. The Ontario electricity support program was brought in as an indirect tax levied on all electricity consumers to provide rate assistance for people who cannot afford to pay their electricity bills. Of all the issues that I am contacted on, the cost of electricity in Ontario draws the most complaints. We call this the Liberal policy of “heat or eat” in Ontario. Federal taxpayers are expected to pick up the costs of this budget tax measure. 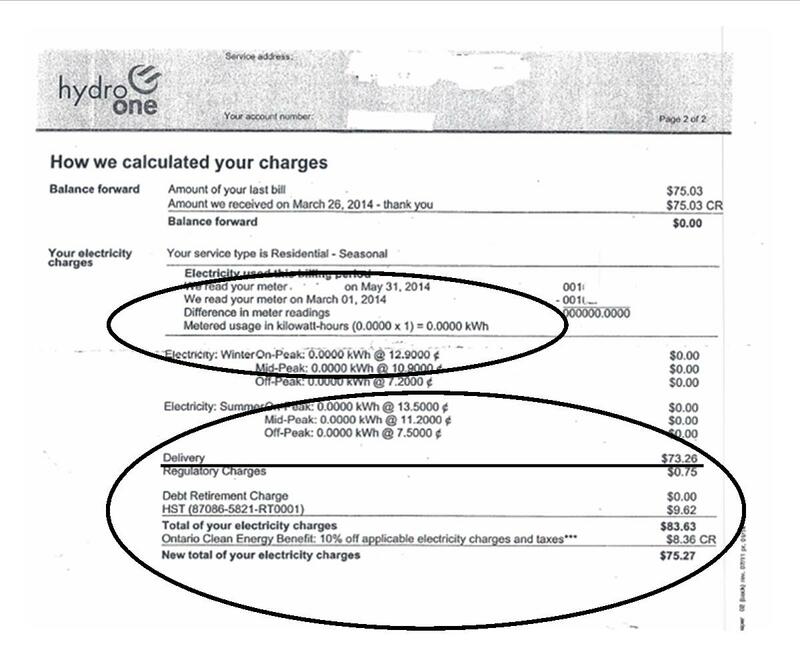 It is because the rates are so high that not only do Ontario electricity consumers have to pay their own bills and others’ bills; now they have to pay it through their federal income taxes as well. The so-called Green Energy and Economy Act was brought in by the liberal party of Toronto and continues to drive electricity prices in the province of Ontario higher and higher. One of the consequences of that piece of misguided extremist-driven policy is the energy poverty that is now a fact of life in the province of Ontario. Taxpayers need to be concerned over the contents of Bill C-15, which implements most of the government’s first federal budget. Trudeau’s first budget is a disaster for all Canadians. The huge, never-ending deficits contained in the budget and the legacy it leaves for their families repeats what is happening at the provincial level. Ontario now has the distinction of being the most-indebted sub-national government in the world. The provincial auditor general has set out the dreadful burden of the liberal government’s disastrous blunders to date: $37 billion wasted on electricity above market price during the past eight years ($2,700 for each Ontario man, woman and child) with a further $132 billion to be racked up by 2032. What I predicted before the last election is now happening, as we can see in Bill C-15. I predicted that all Canadian taxpayers would end up with part of the bill for Ontario’s policy disasters. That was predictable because the same policy advisers in Queen’s Park, who wrote the “greed” energy act and fled Toronto, are now hiding in Ottawa as the most senior advisers of the federal Liberal Party. The cozy relationship between the Prime Minister and the Ontario premier is bad for all taxpayers, just as I warned Canadians before the last election.